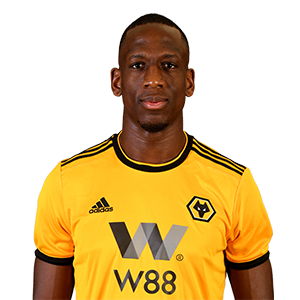 Following a fine first season at Molineux, Willy Boly made his move to Wolves a permanent one in the summer of 2018. Boly was named 2018 PFA Championship Team of the Year and helped Wolves keep the most Championship clean sheets last season, when on loan at the club. The defender scored three goals during his 37 appearances in gold and black, as Wolves were promoted to the Premier League. The Frenchman spent three years at the Clairefontaine Academy in France, before joining Auxerre and emerging through their reserve team. Then came a spell at Braga, before Boly signed a five-year deal at Porto, including a season under Wolves manager, Nuno Espirito Santo at the Estadio do Dragao. Boly’s transfer option was triggered in June 2018 and he settled into Premier League life by netting against Manchester City the following August.